I received the items in this post at no cost for the purpose of this post. 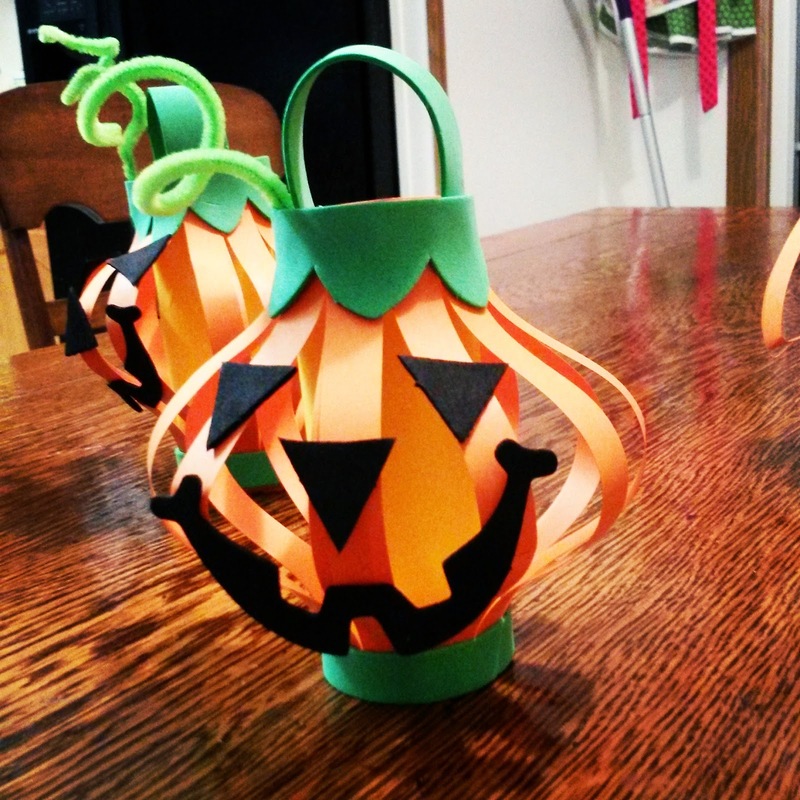 These adorable paper jack-o-lanterns are from Oriental Trading. 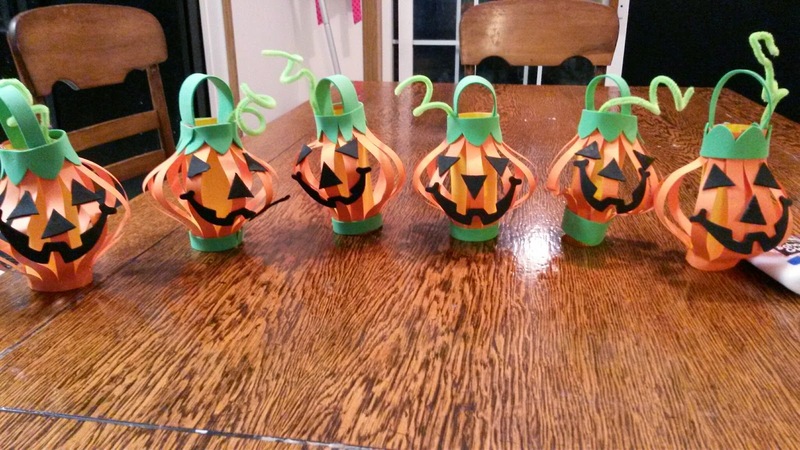 I love the craft kits from Oriental Trading because all the pieces are included and in individual bags. All we needed to complete this project was some glue! We chose to use glue sticks... but if we did it again we would definitely choose a different glue. The packaging suggested using hot glue, and I think that it would have been much less frustrating for the kids if we had used it. The glue sticks had to dry, and that meant a lot of holding pieces while the drying happened. All of the pieces come pre-cut and ready to assemble, so even when I did this with 5 of the kids it wasn't too much for just me. First we took the yellow piece of paper and made a tube. 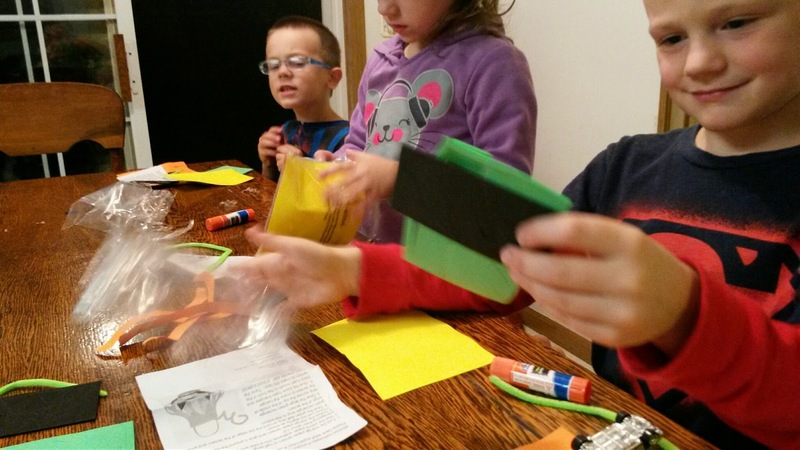 Then we took the pre-cut orange piece of paper and glued around the tube to make the round shape of the pumpkin. 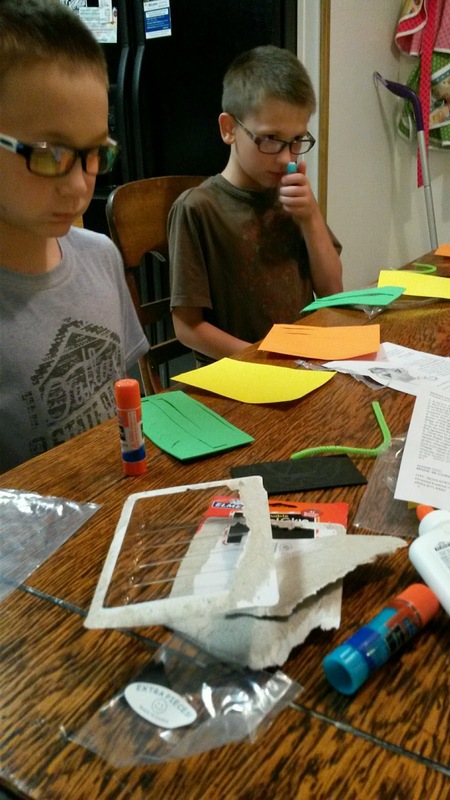 We then added the green foam pieces and the black foam faces along with the pipe cleaner vine. Overall, it took us about an hour from start to finish, but this time would have been drastically shorter had we used a quick drying glue. The kids really enjoyed seeing the finished product! This project could easily be done without the kits- but if you are looking for a great project when you are short on prep time, or time to complete the craft, Oriental Trading's craft kits are great!